“Most cleaners are underutilized and do not know how to drive more volume. Historically, foot traffic was enough to acquire customers, but times have changed." On-demand services are all the rage right now (thanks, Uber). Businesses understand that consumers want more convenient experiences and they want to order them with a simple click of a button. One of the industries that’s seeing a lot of use for this is the dry cleaning space with laundry services. It’s no surprise then that on-demand laundry services have been popping up like crazy these past few years. 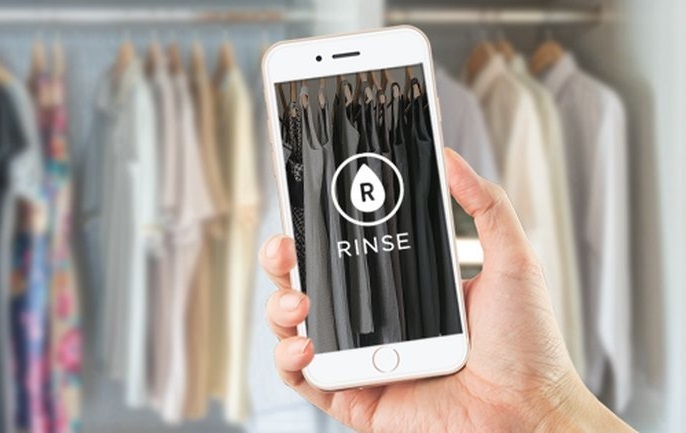 Today we’re going to look at Rinse, an on-demand laundry service provider based out of San Francisco that’s been around since 2013, but just received a $14 million in funding (bringing their total to $23.5 million), signaling a major round of expansion is about to happen. One of Rinse’s co-founders, James Joun, grew up in a family in the dry cleaning business, so there was an inherent knowledge of the pain faced by dry cleaners and customers alike that this company’s foundation was built on. His partner in clean Ajay Prakash, CEO, and co-founder of Rinse brought a desire to fix the customer experience in recurring services. It is something he now often refers to as “friction” and says that it exists on both sides of the fence. 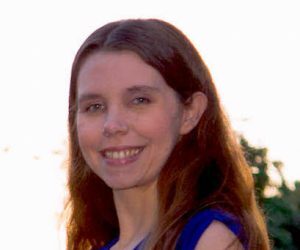 “[I]n dry cleaning,(1) you don’t actually know who’s a good cleaner, you just go to the nearest one; (2) you can’t assess quality until after you get your clothes back; (3) cleaners typically operate during normal business hours and are closed on weekends, which makes pickup and drop-off inconvenient; (4) there is limited transparency, limited customer service, and limited technology-enablement.” According to Prakash in a blog post on the company site. While the service runs seven days a week, they only schedule pickups and drop-offs between 8 and 10 p.m. They believe that by following this smart scheduling practice (one that takes into account when customers are actually available and have clothing ready to go out), they can remove the friction and frustrations that both parties typically encounter in the process. Rinse has broken out their services based on a number of categories, including wash and fold, dry cleaning, hang dry, leather cleaning, and repairs. Pricing includes a $3.99 delivery fee for all standard turnaround services plus a charge per item or weight of items to be cleaned. What’s the Big Deal About Rinse’s Laundry Service? In a recent blog post written by co-founder Prakash, he asked the question, “Is on-demand dry cleaning and laundry dead?” He then answered that question with an emphatic “yes”. It’s an interesting approach to take, to lambast an industry in which they’re hoping to make an even bigger dent in, but business has been very good for them. They recently launched a Washington, D.C. location (in addition to their San Francisco and Los Angeles branches), which has experienced rapid growth; roughly, 40% month-over-month. They now have plans to expand even further as they’ve created a clear path to success—and have received their Series B round of funding. So, what makes Rinse any different than the competition’s laundry services? 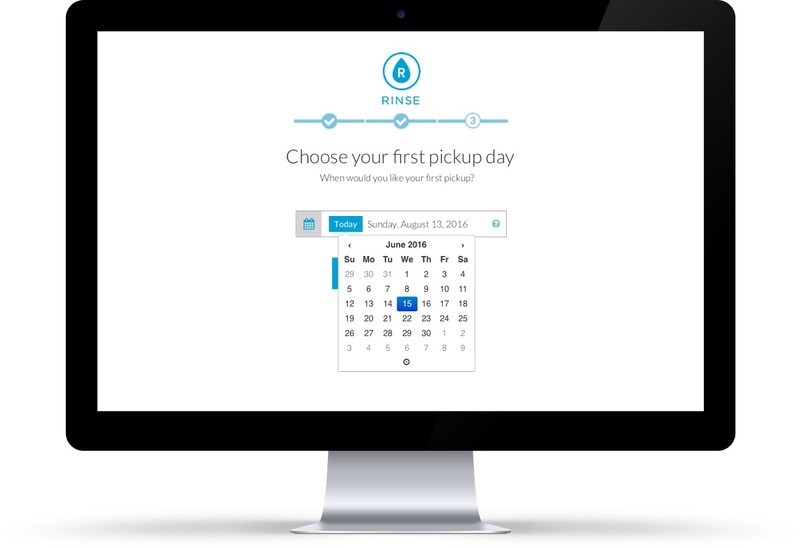 Rinse often touts the case of their main competitor Washio going out of business. But what about the rest? FlyCleaners, Cleanly, Delivery.com, DRYV, Dirty Laundry… These companies all still appear to be alive and thriving in their respective markets. Does Rinse really have a leg up on them? In all honesty, Rinse’s smart scheduling approach may actually give them an edge, but it’s not one that’s gone unnoticed and probably won’t remain that way for long. Procter & Gamble just launched their own on-demand laundry service, named Tide Spin, in Chicago and it follows a nearly identical model and, surprisingly, offers nearly comparable prices too. It’s clear that the model Rinse has established is the right one for on-demand services. However, without a big name (and funds) like Procter & Gamble behind them, we’re curious to see how many markets they’ll successfully gain access to now. And who knows? P&G may only be the first in a series of high-profile companies to make this leap. That could spell trouble for the Rinses of the world. If you’re planning to start a laundry business or already engaged in laundry business then it’s time that you tap mobile technology and reinvent your business model in terms of on demand sector. Companies like UBER for Laundry, Washio, Cleanly, and others have already realized the potential of on demand laundry app development and have been successful since. Mobile apps are turning out to be the essential part of our life. Mobile app industry is growing at a rapid pace with each passing day. Very good comment! You make many great points and I agree with most of them. I would like to use the service before making any judgements and honestly, for the price, it will save me time. Well, you have certainly made an argument for mobile technology in the laundry business, that is for sure! Interestingly, Taken to the Cleaners right here in Lincoln Nebraska has been doing this for almost 20 years. We have next day service. We don’t charge a delivery fee. And our customers don’t have to be home when we pick up or deliver. We have a weekly reminder call or text that we will be there the next day to pick up your cleaning. And lastly we have automatic bill pay so you don’t ever have to worry about getting a late payment charge. That is good to know. There are always other companies out there that are copy cats, but honestly, is there room for another laundry service in that respect? This really seems like a slick service and one that was well thought out. Good luck to the founders, they may have found a way to change up the laundry world. Cater to the needs of the customer. It is the one thing that will be sure to bring your company success. It’s a great start! Standardizing the pickup times might be a great way to keep the friction low. There is plenty of competition for dry cleaning services, so it will be interesting to see where this one goes. Even though it helps the company to become more standard, I am not sure that is the right way to “help” the consumer. That is who you are trying to please, right? Without any doubt in my mind, I would say that if you can provide services like this on a moments notice, then you are going to be a success. Because dry cleaners are closed on the weekends, limits the options you have when you need something cleaned now. I must say that I agree with Prakash. He makes a good point and one that is valid in the laundry market for sure. It will be nice to see a little shake up in the laundry business with an app like this. They might have the technology now, but as soon as it becomes commonplace in the niche, the others will have the same technology. It will be interesting to watch how the companies sort that out. That is true. That is why you need to get out in front of the group.